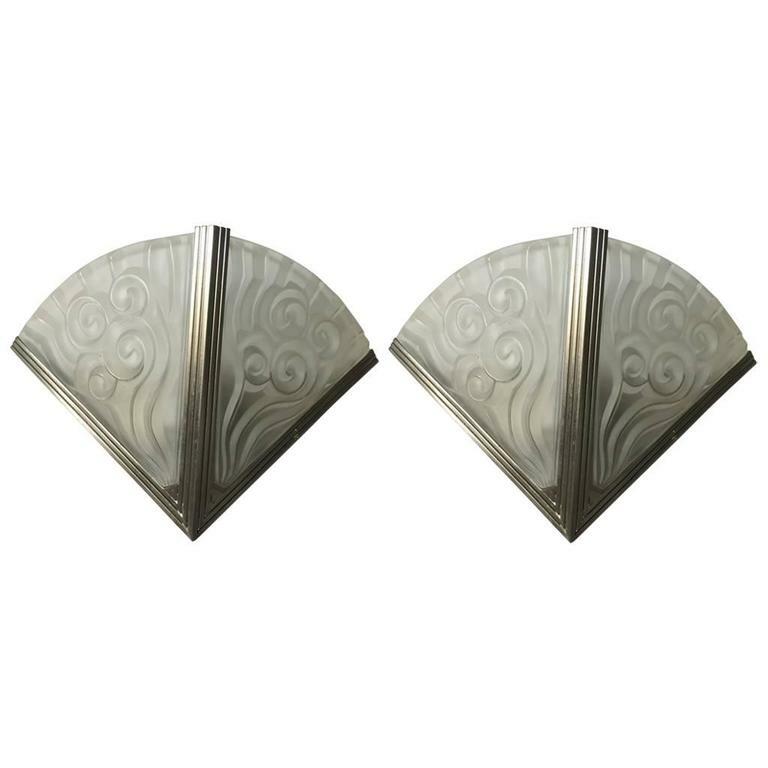 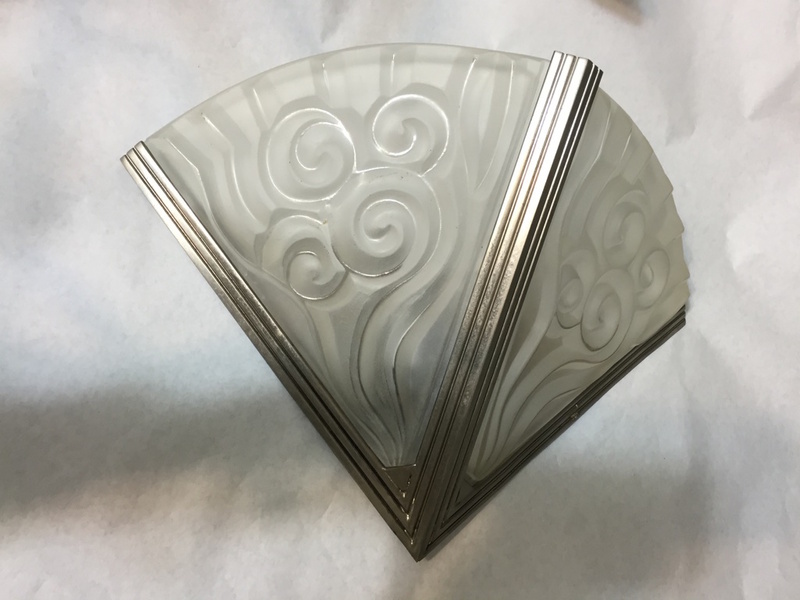 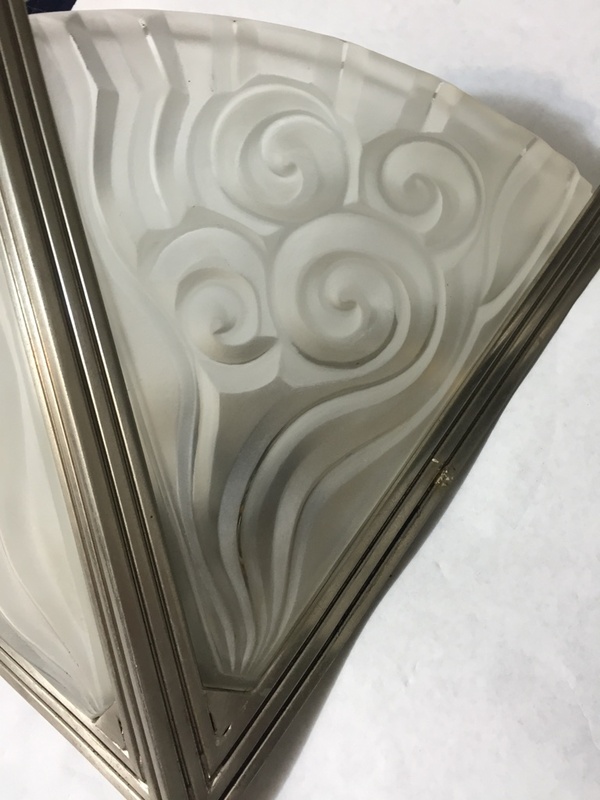 Stunning pair of French Art Deco wall sconces by the French artist Degue. 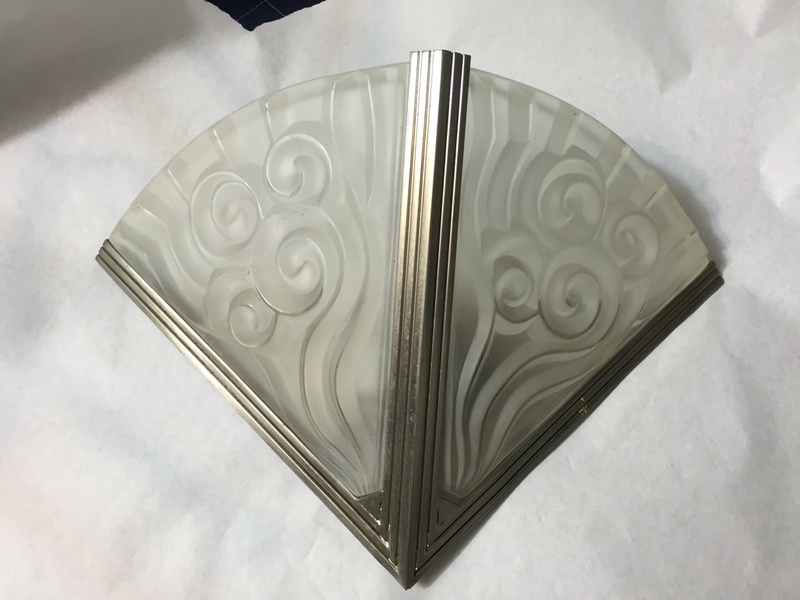 With molded clear frosted glass shades decorated with geometric motif. 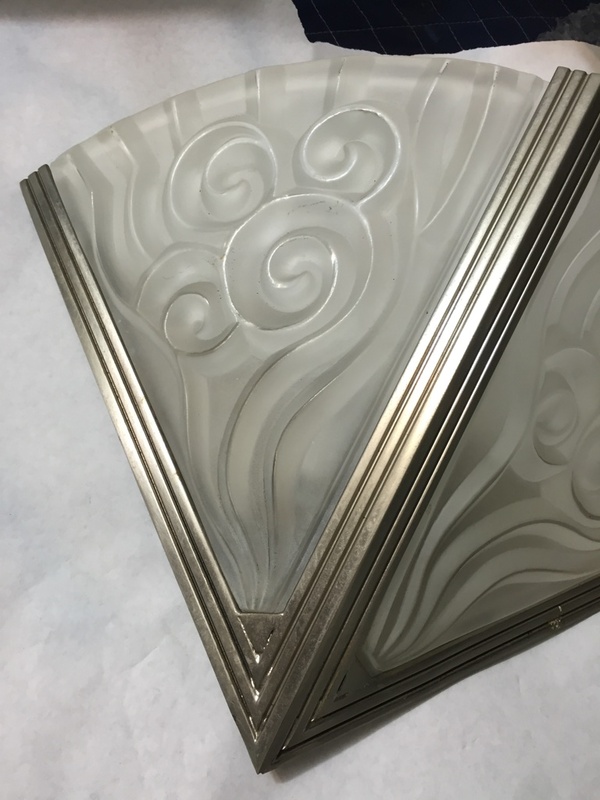 Each shade is mounted in polished silvered bronze frames. 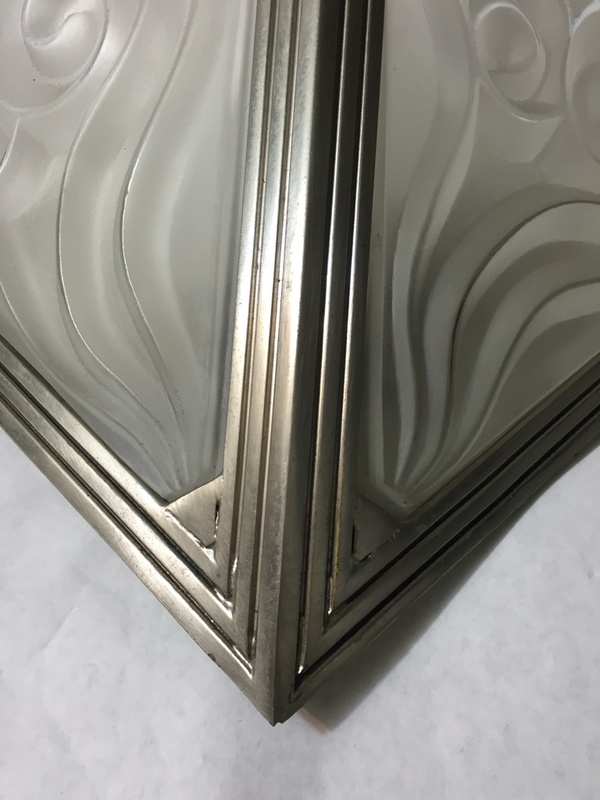 Matching chandelier available.